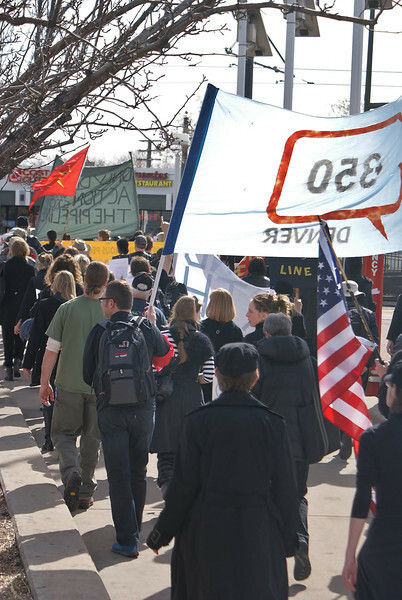 "Forward On Climate" march and rally in Denver, Colorado 2/17/13. Large crowd reacting to speaker, holding up signs about climate change, American flag in foreground. Large crowd reacting to speaker, holding up signs about climate change. 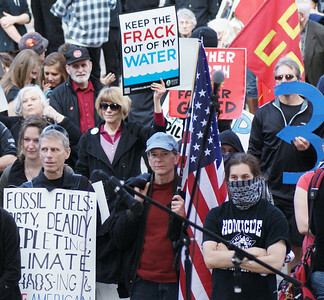 Large group at climate change protest listening to speaker, including man with American flag, young woman with hoodie and bandana covering face, others holding signs against fossil fuels and fracking. 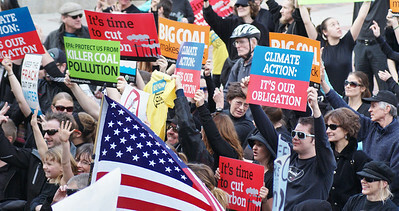 Young woman wearing hoodie and bandana over face, her eyes showing, man with sign about climate change behind her. In front are man with American flag and young woman looking sideways. 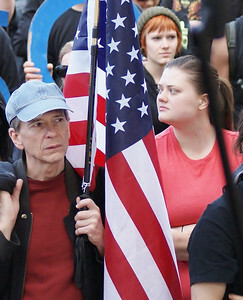 Young woman in profile standing next to man holding American flag, another young woman behind them. 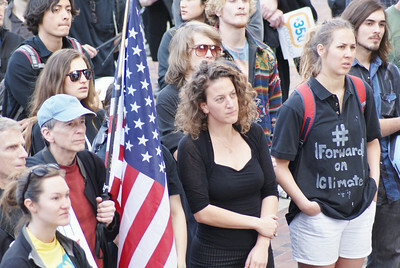 Young woman in profile standing next to American flag, another young woman behind her. 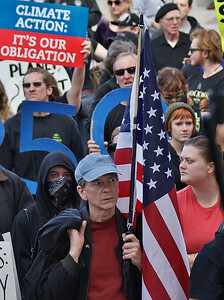 Young woman with bandana covering face, American flag besde her, at global warming protest. Man holding American flag at global warming rally, large crowd with signs around him. 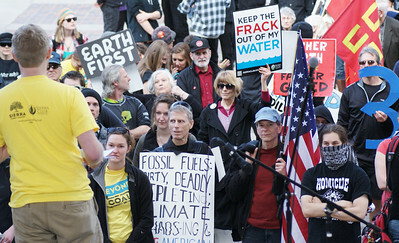 Group of protesters at global warming rally listen to speaker, one holding anti-fracking sign. 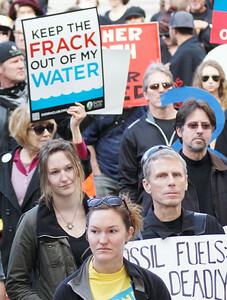 Two young woman at global warming rally listen to speaker, woman holding anti-fracking sign behind them. 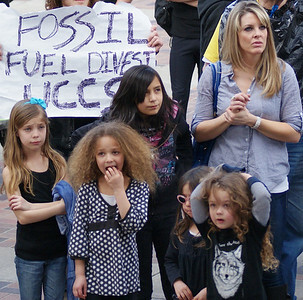 Woman and 4 young children listen at climate change rally, man behind them with "fossil fuel divest' sign. 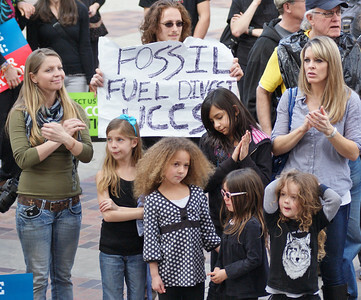 Two women and 4 young children listen at climate change rally, man behind them with "fossil fuel divest' sign. 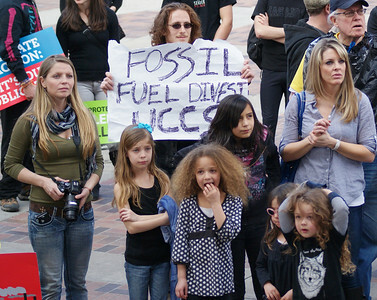 Two women and 5 young children listen at climate change rally, man behind them with "fossil fuel divest' sign. 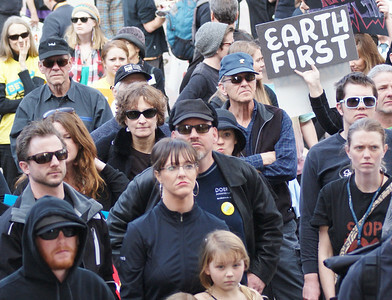 Group of men and women dressed in black, one person with "earth first" sign behind them. 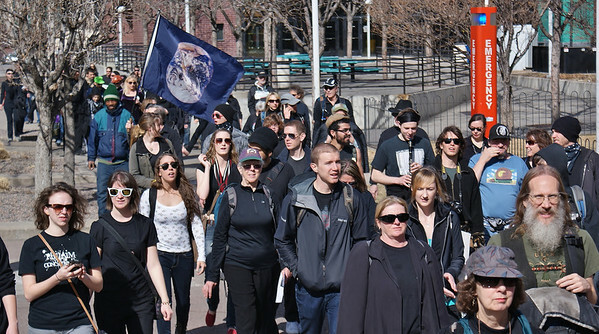 Large group of people in climate change march, one carrying large earth flag. 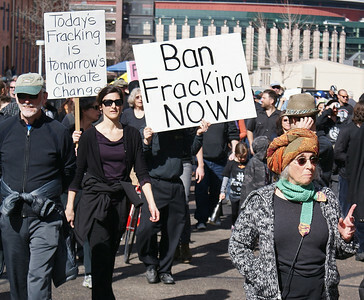 Protesters with anti-fracking signs in climate change march, senior woman in front of them. 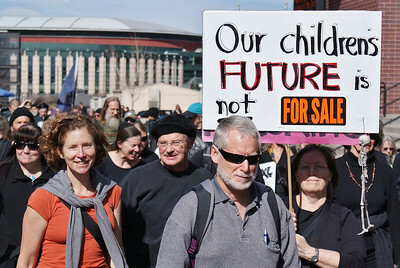 Climate change demonstrators with sign about childrens future. 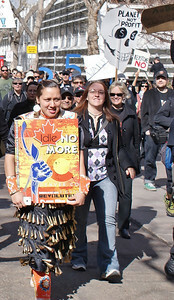 Native American woman in traditional dress carries "Idle No More" sign in climate change march. Senior man and woman, holding hands, marching in climate chage protest. 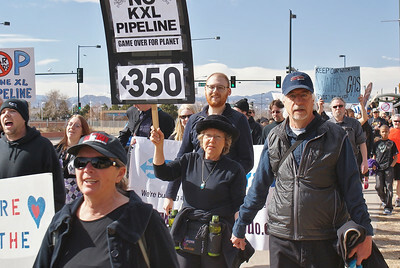 Woman holding KXL pipeline/350 sign. Protesters marching in climate change demonstration, seen from behind, American flag and 350.org banner above them. 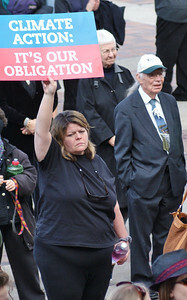 Woman with anti tar sands sign and woman looking at cell phone, marching in climate change demonstration. 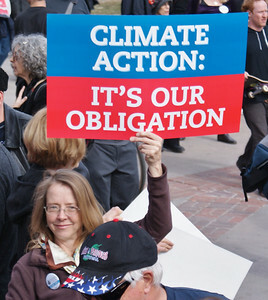 Woman smiling, holding up sign about climate change. 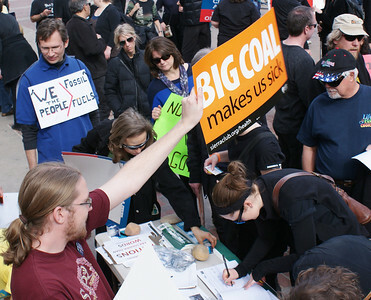 Young man holding sign opposing coal, at climate change rally. 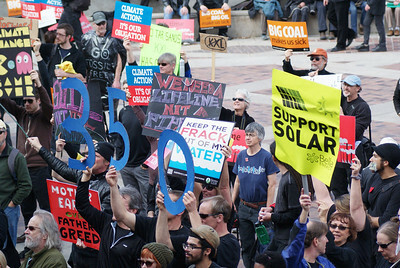 Man holding up solar power sign at global warming rally, man raising anti-coal sign behind him. 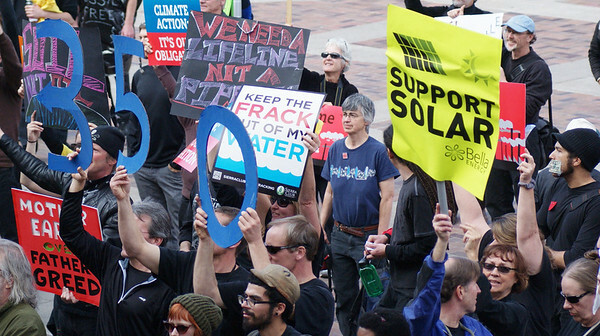 Large crowd reacting to speaker, holding up signs about climate change, including "support solar" sign and 350 sign. Young man seen from behind speaking at rally on climate change, large crowd in front of him with signs, and man holding American flag. 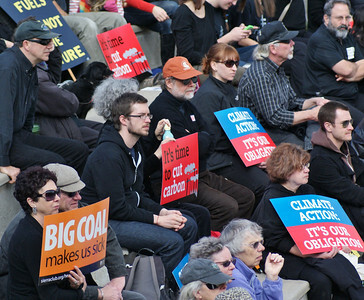 Group of climate change protesters, dressed in black, listen to speaker at rally. Large crowd at global warming rally, listening to speaker. 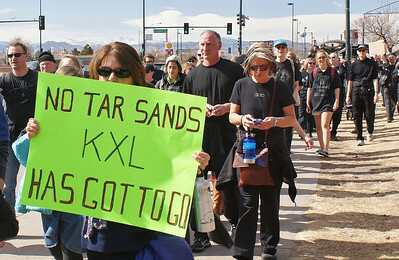 Young woman wearing hoodie and bandana over face, her eyes showing, man with sign about climate change behind her. 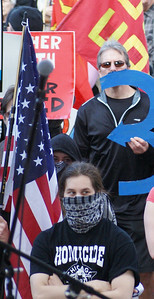 Young woman wearing hoodie and bandana over face, her eyes showing, man with American flag in front of her, others behind them. Young women at rally next to man holding American flag. 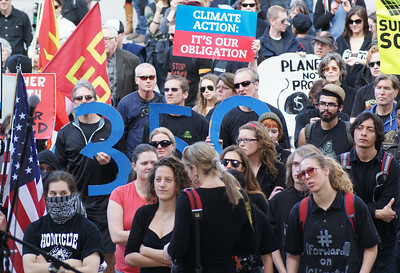 Young woman with bandana covering face, other young men and women behind her, at global warming protest. 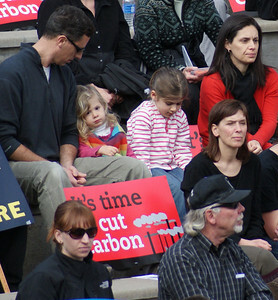 Group of climate change protesters, dressed in black, sitting on steps, listening, holding signs, including parents with 2 young children, daughter leaning on father's shoulder as he looks down at her. 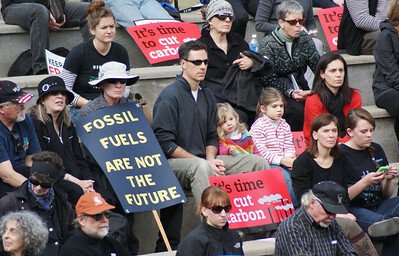 Group of climate change protesters, dressed in black, sitting on steps, listening, holding signs, including parents with 2 young children, daughter leaning on father's shoulder. 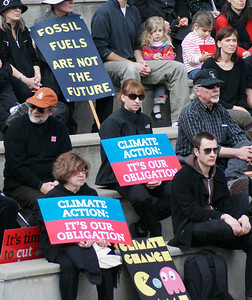 Group of climate change protesters, dressed in black, sitting on steps, listening, holding signs. 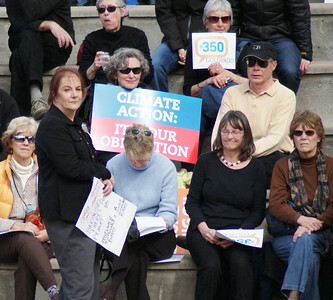 Group of women sitting on steps, one with climate action sign. 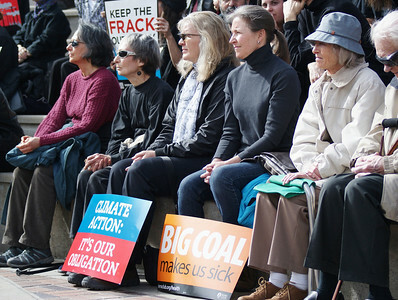 Group of 6 older woman in a row, sitting on a step, with climate change signs at their feet. 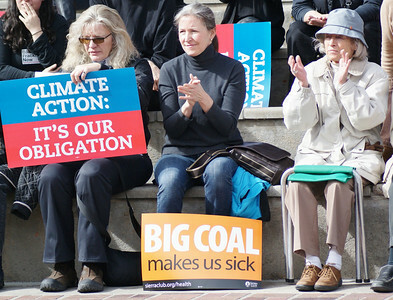 Three women sitting on step, one holding sign about climate change, two applauding. 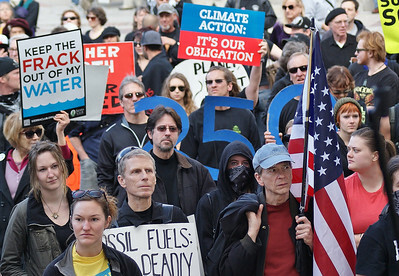 Woman dressed in black holds up "climate action" sign, older man in suit and tie with baseball cap, next to her. 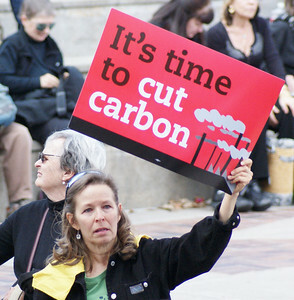 Woman holding up "cut carbon" sign. 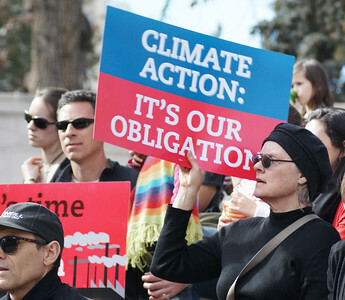 Woman wearing black beret holding sign on climate change. 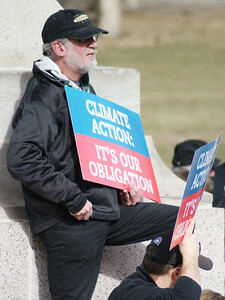 Man with grey beard standing, holding sign on climate change. 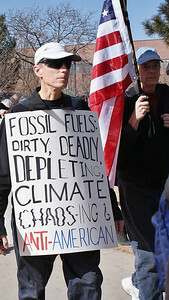 Man with sign about fossil fuels next to man with American flag, at climate change protest.